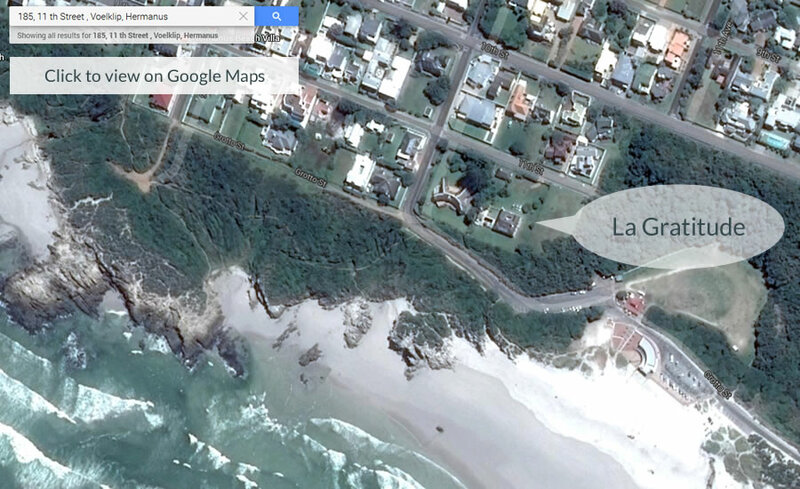 As the first house built on this stretch of the coast in South Africa, La Gratitude remains the closest house to Hermanus’ most popular and largest beach, Grotto Beach. Wonderfully private in large grounds bordered on two sides by protected fynbos, La Gratitude has arguably the best location in Hermanus with its proximity to the beaches, cliff path and views. 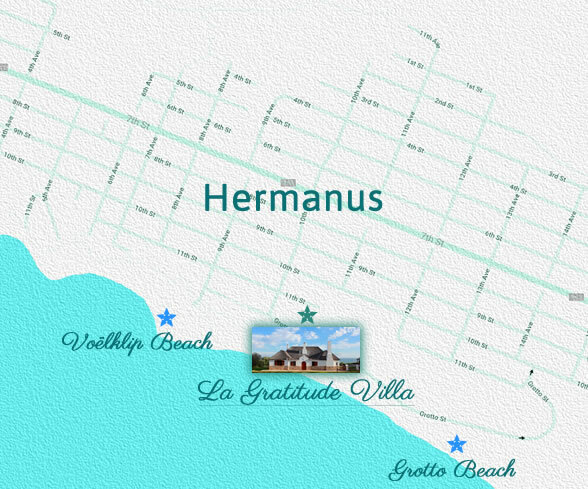 Known as the Riviera of the Cape, Hermanus is 123kms (a hour and a quarter’s drive) from the centre of Cape Town. It is situated in an idyllic setting in South Africa on the coast of the Western Cape region known as the Overberg. Rich in history and agricultural abundance the drive from Cape Town is almost as beautiful as the destination. Take the signed R43 left off ramp that leads right over the N2 for 34.5 km until Hermanus.